Fancy a little mid-week pick me up to get you through to Friday? If like me, you’re flagging and Friday seems like it’s at the end of a very long tunnel, I have just the tonic. 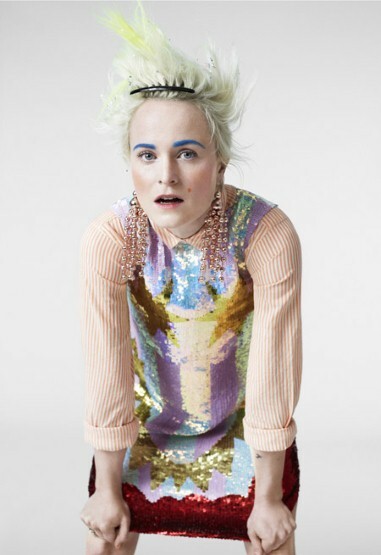 Literally one of the brightest stars of the London fashion scene, Louise Gray is known for her colour, textures and specially developed fabrics. Her collections are always a riot of fun. 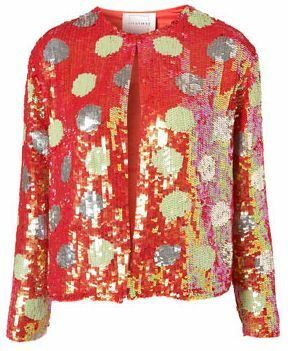 Her collection with Topshop is a riot of fun, colour and lots of shiny sequins. 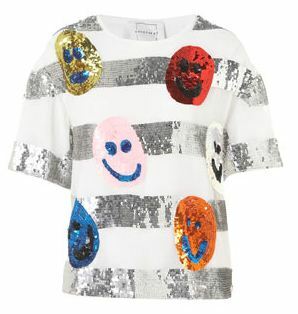 As much as I love the collection, I don’t think I’m cool enough to wear any of it aside from the smiley face tee. I am, however, a massive fan of the make up collection. 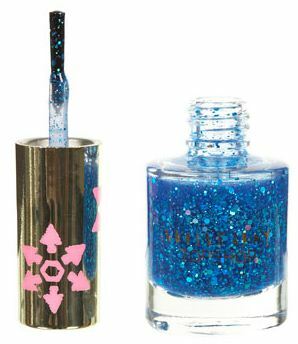 Gloopy sequin nail polish in chocolate box tones, I am so there. What’s your favourite piece of the carnival-like collection?